This customizable, private time-saver tour allows you to customize your own Istanbul sightseeing itinerary. 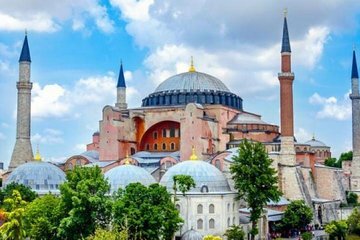 Travel comfortably between locations in your own chauffeured and climate-controlled vehicle, stopping at must-see sites, from the Spice Market and the Grand Bazaar to the Hagia Sophia and Blue Mosque. Round-trip hotel or airport transfers are included.